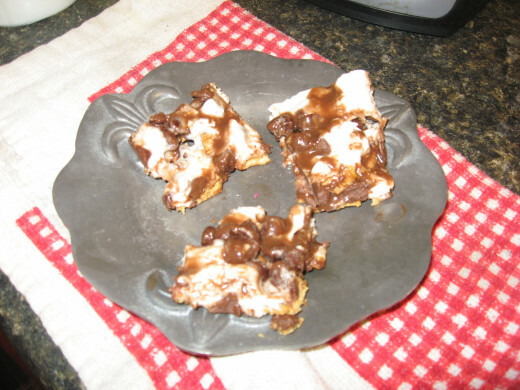 Today I’m sharing with you a no-bake s’mores recipe. Actually, I have four s’mores recipes for you, and all of them are easy, with no baking required. You probably remember s’mores from your childhood, right? They got their name because supposedly, once one is sampled, the person eating it usually asks for "some more." We used to make these around a campfire. We’d take a graham cracker square and place part of a Hershey’s chocolate bar on it. Then we’d toast a large marshmallow over the fire until it was nice and hot and “melty.” The marshmallow would be placed on top of the chocolate, and another cracker was added to make a sandwich. The heat from the marshmallow caused the chocolate to soften or melt, depending on the heat of the marshmallow. Graham crackers, marshmallows, and chocolate – what’s not to love? It’s a great flavor combination. 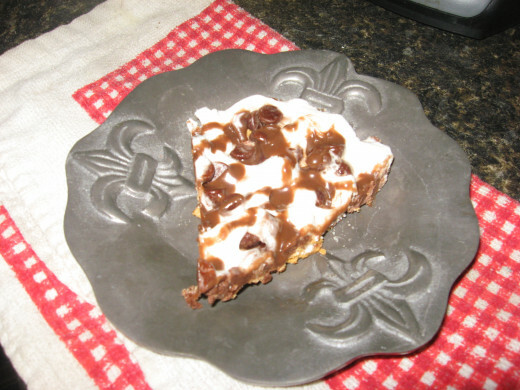 Check out my no-bake s’mores recipe for pie or s’more bars, along with other easy dessert recipes based on the traditional taste combo. There are all sorts of s’more recipes you can try at home – without a campfire. Some require baking in the oven, some require heating in the microwave, and some require no cooking or heating, at all. You might be wondering how you can make s’mores without at least melting the marshmallows. If you use marshmallow cream, there’s no need to melt the confections. In fact, you usually won’t even need to use actual marshmallows. The marshmallows cream is like fluffy, melted marshmallows, without the burnt edges from an open fire. S’more recipes might include pies, bars, cookies, cakes, puddings, or frozen desserts. You can also turn the ingredients into a pizza. 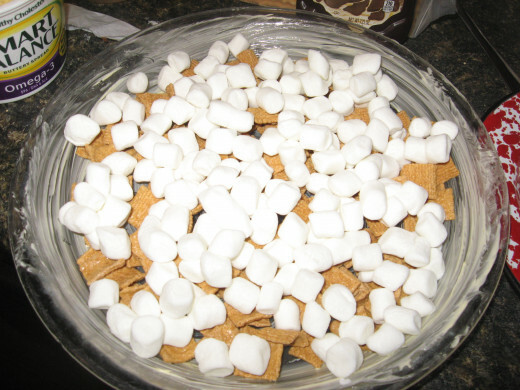 Of course, the main ingredients are usually marshmallows, graham crackers, and chocolate, but these can be easily tweaked. As I’ve already mentioned, marshmallow cream can be used instead of marshmallows. 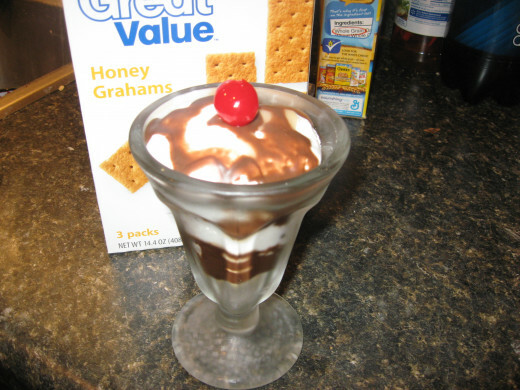 Graham cracker flavoring can come from graham crackers, graham cracker crumbs, or from Golden Grahams cereal. The chocolate can take several forms, too. 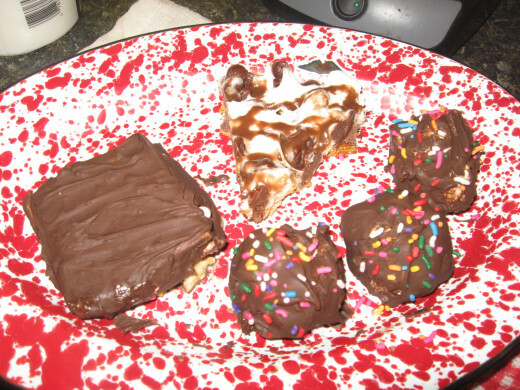 You can use candy bars, as with the campfire recipe, or you can use chocolate chips, chocolate syrup, or dipping chocolate – melted candy coating. 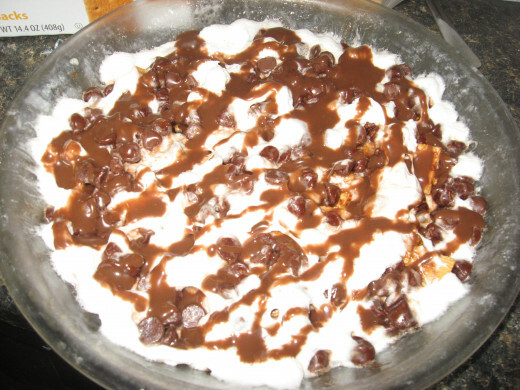 If my s’mores recipe is going to be chilled, I might use chocolate fudge Magic Shell coating. 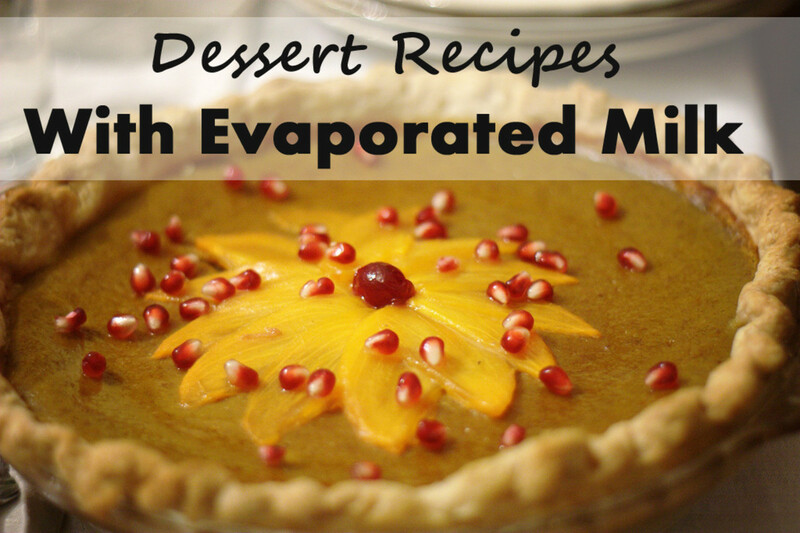 I often use easy dessert recipe with the grandkids. Four of the grands come to my house after school on most days, and I like to have a snack ready for them after a tough day at school. They’re not difficult to please, but occasionally, I like to give them homemade treats. Like most kids, they love s’mores! Okay, I think a lot of adults would fit into that category, as well. The following are super easy dessert recipes that don’t require a lot of work or planning on your part. 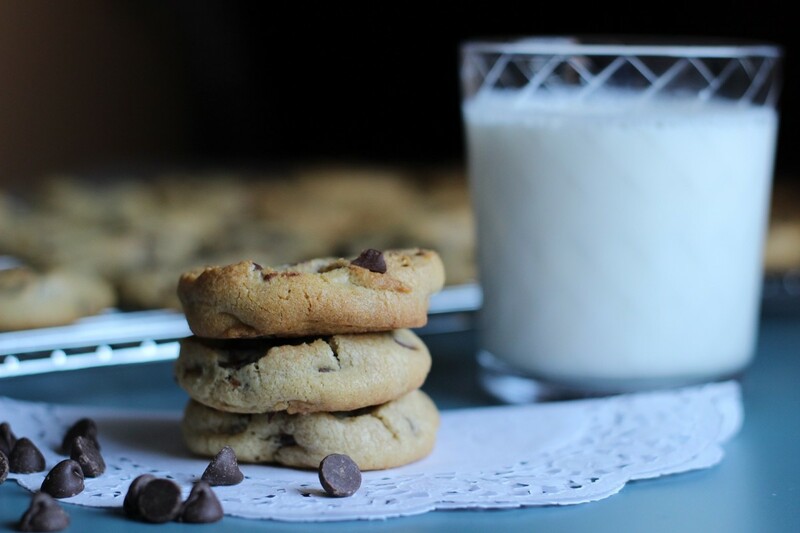 They can be thrown together in just a few minutes, and the kids will love them. For all four of the following concoctions, you’ll need just a refrigerator/freezer and a microwave oven, along with some fairly simple ingredients. Besides the basic ingredients I’ve already mentioned, you might want to make a few more additions. You can add chopped pecans, peanuts, walnuts, or almonds for added crunch and texture. You might also want to add chopped cherries, strawberries, or raspberries for another layer of flavor. Peanut butter is also a yummy addition to most s’mores recipes. This one is super easy, so you don’t need a standard recipe. 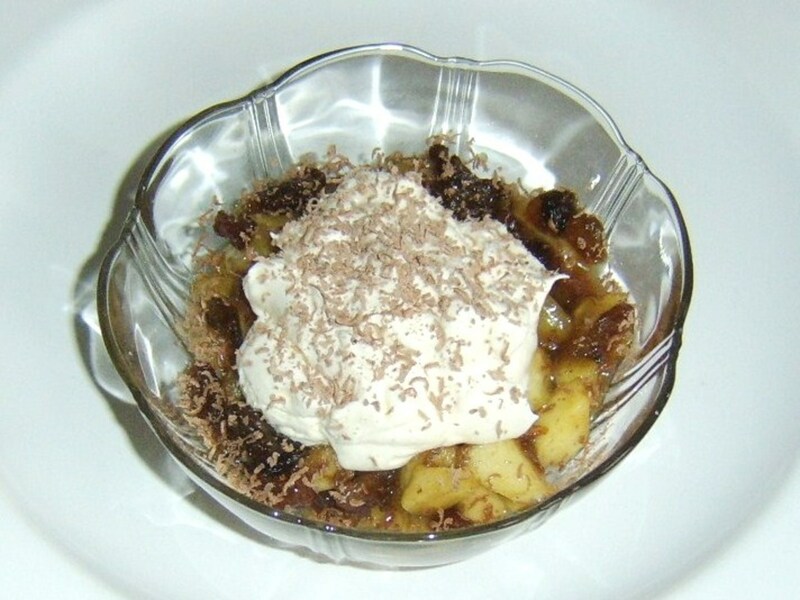 Choose the amounts of the ingredients you need, based on your personal tastes and on the size of your parfait glasses. Parfaits make nice chilly treats for hot summer days, and this one is easy to make and delicious. In a parfait glass, make a layer of graham cracker crumbs in the bottom. Add chocolate chips and a few marshmallows. Drizzle with chocolate syrup. Add a layer of ice cream. Top with broken graham crackers, marshmallows, and more ice cream. Place in freezer for five minutes. 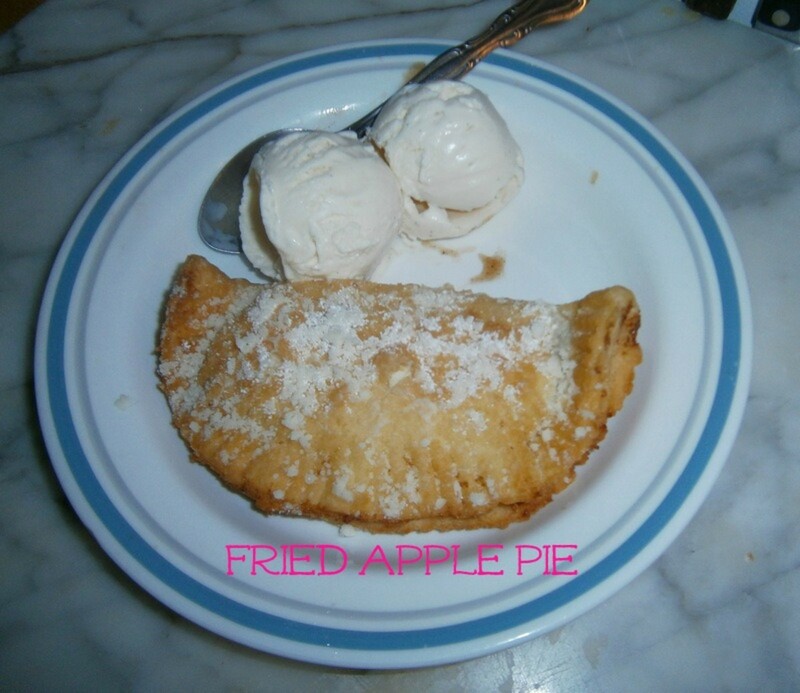 Drizzle Magic Shell over top and add a cherry. These smores bars are really yummy! Best of all, you don’t have to use your oven because this is a no-bake s’mores recipe. Just a quick stint in the microwave will do the trick. 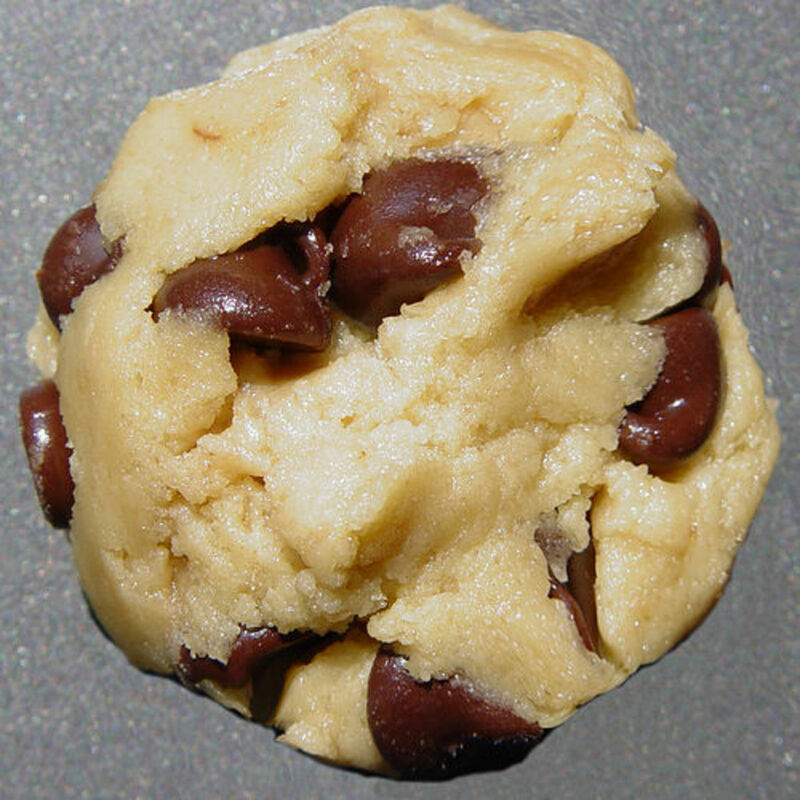 The miniature marshmallows and the chocolate chips melt, and once they firm up, they hold everything together. Just be sure that your marshmallows and chocolate chips are evenly distributed. Once the mixture is nice and firm, it can be cut into squares or rectangles for s’mores bars, or it can be sliced into wedges for pie-shaped treats. 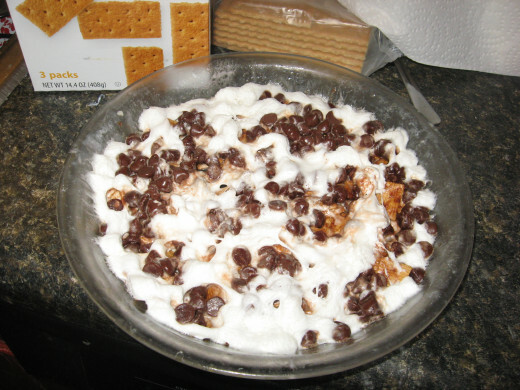 Rate my No-Bake S'Mores Recipe. Thanks a bunch! Generously butter a glass pie plate. 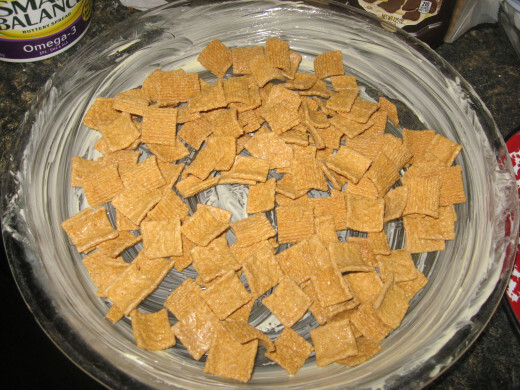 Sprinkle cereal over bottom of plate. Add marshmallows in an even layer and top with chocolate chips. Microwave until marshmallows and chocolate chips are melted. This took two minutes in my microwave oven. 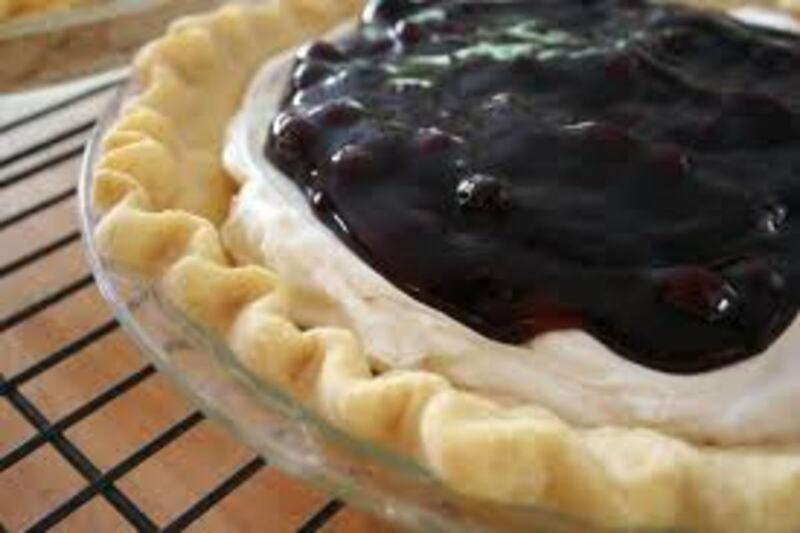 Chill pie until firm. Chocolate lovers might want to drizzle on some Magic Shell at this point. When the Magic Shell has hardened, your s’mores are ready to eat. Cut into bars or wedges to serve. Directions: Combine marshmallow cream, crumbs, and marshmallows. With buttered hands, form mixture into balls. 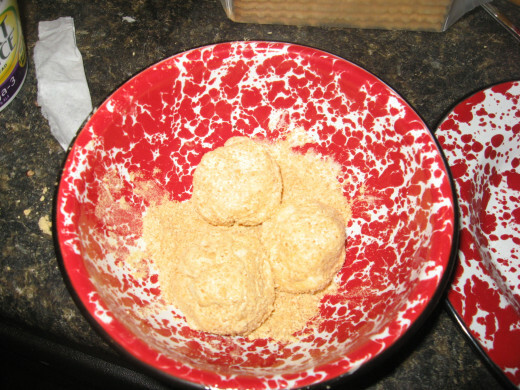 Roll balls in more cracker crumbs. Chill balls in freezer for about thirty minutes. When s’mores balls are hard, melt dipping chocolate squares in microwave, according to package instructions. 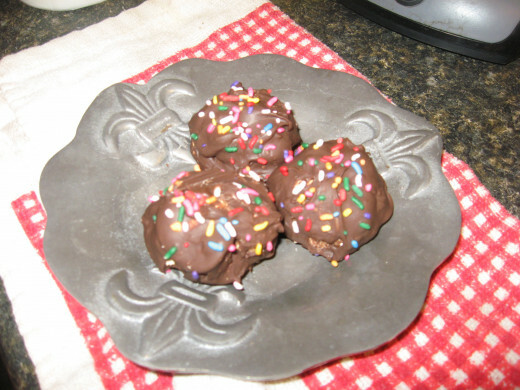 Dip hardened balls into chocolate and add sprinkles, if desired. Place on waxed paper. Return to freezer to firm. Directions: Spread cracker squares with marshmallow cream. Top with more crackers. Press crackers together gently to even out filling. Remove excess cream from edges. Freeze squares until very firm. 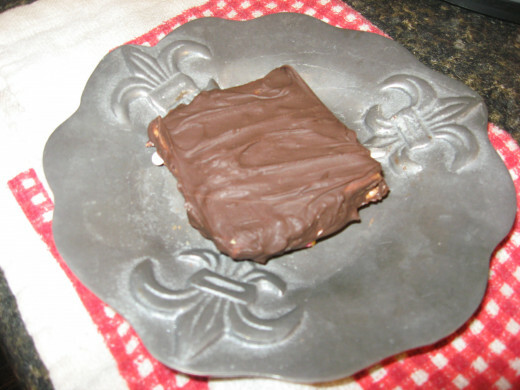 Dip cookie sandwiches in melted dipping chocolate and place on a plate lined with waxed paper. Place in fridge until coating has hardened. I not only remember S'mores from my childhood, but we still do them regularly when the grandkids are here. They're going to be here this week and we're going to be doing some Christmas cooking so these will be perfect to try. Thanks! 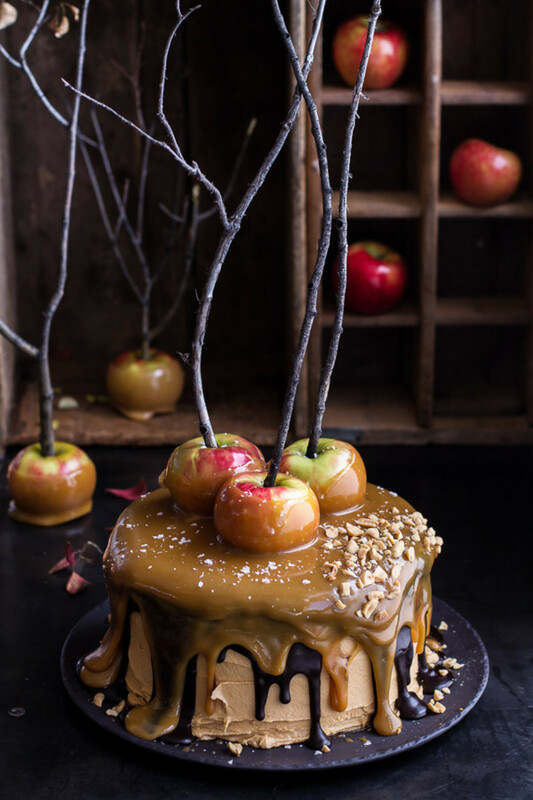 Wow yummy ican bake this to my family thank you for sharing that recipe! Your s'more parfait looks and sounds irresistible. I've made the pie/bars recipe a few times since finding your hub, and it's really easy to make and delicious! I made it with cheerios, and I think most cereals would work really well. I think so, too, Sandy! Oh, yum! Can I come to your house after school? I'll feed the horses. I like the smores pie. I love all three ingredients; Graam crackers, marshmallows and especially chocolate....yippeeeee! I want s'more!!! Yummy - now I know how to take this snack to meetings and potlucks where we don't have a campfire! I just licked all the plates with various s'mores in your photos clean. May I have s'more? Though marshmellows are not my thing..my husband loves them..so I may have to break down.. Photos are lovely. The Pie does it for me. Looks easy! Will have to try...Thanks! God I love these things! This has been a tradition in our family for at least fifty years and I never get tired of them. Great recipe!